Is there a preferred camo pattern for duck/deer/hog hunting in Texas? It all depends on where you are hunting. I prefer Real Tree Max-4 or Mossy Oak Break Up as they fit in a variety of terrains, with the exception of South Texas, where Brush Country is king. The general rule is go with more greenish camo early in the season, when there are more green leaves on the trees, and a more brownish camo later in the season when the leaves have fallen off the trees. Deer are red-green color blind like some humans. Their color vision is limited to the short [blue] and middle [green] wavelength colors. As a result, deer likely can distinguish blue from red, but not green from red, or orange from red. So deer hunters up north, who are forced to wear hunter orange, appear to be green to deer. Pigs can differentiate colors, but not as well as humans. Waterfowl don’t see color the way we do. They see reds, greens, yellows, and blues more vibrantly – thanks to their retinas – plus an extra set of cones allows them to see ultraviolet radiation. This gives them exceptional light sensitivity. As a result, shine and glare are the waterfowl hunter’s enemy. For ducks a lot of guys prefer Real Tree Max-5, as it has canes in it, which are often located on shore lines. However, they aren’t on the shorelines where I hunt usually, so I get by with my one-camo-fits-all Real Tree Max-4 or Mossy Oak Break Up. You can see the different styles in the below picture. Four of the guys are wearing Max-5. I think that I’m wearing Mossy Oak Break Up, as is Earl immediately to the right of the ducks. I’m just happy to find camo on sale that fits me. I don’t pay much attention to the pattern. You’ll often see me wearing a different pattern top than bottom for this reason. Some guys, on the other hand, want everything to match. But I kill deer, hogs, and ducks just as dead as they do – I just don’t look as good. I’m wondering about recommendations on binoculars (for deer). We don’t have anything specific on binoculars, but if you Google “Best Binoculars for deer hunting” I’m sure that several articles will pop up. The important things to keep in mind are they should be waterproof/fog proof (if they fog up they’re of no use to you), weight (think light), and magnification/objective lens (8 X 42 or 10 X 42). I own Vortex Sidewinders and Nikon Prostaff. I got the former used on Ebay for $80 and the later for $90 (new) on Ebay. They both come with a lifetime transferable warranty. I think that they both were 10 X 42. Go to a place that sells them like Academy. Try out several pairs. Read some distant signs in the store with them. See which ones enable you to read the sign the best and are the clearest. You certainly can spend a lot more money than I did, but I don’t see a compelling reason to. I’m wondering about recommendations on clothing (for both deer and hog hunting) particularly since it’s hunting in Texas so I am not sure cold-weather gear would be as needed. I’m trying to understand what all I’d need to purchase to have enough to get started. Also if you have any recommendations regarding gear that could serve both for bird (e.g. dove, duck) hunting and hunting game. No we don’t have a specific check list for clothing. However, we have a generic Trip Check List. The weather in Texas can vary wildly, often on the same day. The key is to dress in layers. In that way, if you get too hot you can always take a layer off. Depending on how cold it is, wind, rain, etc. I might start with a base layer of medium weight thermal underwear. Then a layer of fleece (sometimes two layers for my upper half), then bibs, and a heavy coat. I usually buy hunting clothes at the end of or after deer season when Academy drops the price 30%. I have a lot of their Game Winner brand. They keep me warm enough. I could spend a lot more (my son has a $200 coat for duck hunting), but if I’m going to spend $200 I’d rather buy a gun. I’ve not been cold deer hunting since 1987, when I owned cheap boots. The three biggies are your head, hands, and feet. If they get cold you’re done. You’ll at least get fidgety and have a terrible experience. As with jackets I have a variety of gloves, caps, face masks, boots, and socks. Rubber boots are the best for deer and hog hunting, as they leave no scent. I own Muck Edgewater’s (insulated ones). I like gloves that are fingerless, with mittens that cover the fingers if they get cold. If it’s too cold for that I’ll wear ones where the trigger finger is thinner so I can feel the trigger well. I like to have facemasks with holes for my nostrils and mouth. Wool socks are good, but they can make you sweat. I like a base liner sock to ward off sweat. I particularly like liner and wool sock combos (in one), such as the Cabela’s Ingenius socks, but they’re discontinued and hard to find. I also like Randy Sun waterproof ski socks. They keep me warn and dry quickly if they get wet. Cold weather hog hunting requires the same clothing as deer. Warm weather requires a lot thinner camo. I’ll often wear my dove hunting wear while warm weather deer or hog hunting. Scent free hunting clothing is an unnecessary option in my opinion. It’s a lot more expensive. Instead I’ll buy Scent Away spray and spray myself liberally right before I head to the stand. Dove hunting is done in 90 – 100+ degree weather – think lightweight, thin, and comfortable. Camo is fine, but so is khaki. Duck and deer require basically the same clothes, with the exception of waders for duck. I own three pairs of waders. One is for warm days (breathable), another is for cool days (3mm neoprene), and the new ones are for cold days (5mm neoprene). If you’re only getting one pair them them stout in the chest so you can wear a heavy coat under them and 3mm or 3.5mm neoprene. Buy the boots the size of your shoes. Again, Christmas or after Christmas sales at Academy are the way to go. Also, fleece pants with stirups are nice for ducks as they keep the pants from riding up. I see deals all the time on Facebook Marketplace. I’ve bought several things there. All have been good purchases. I haven’t bought any clothes there, but I don’t need any (and in fact have way too much). I’ve got an old shotgun that may be worth something. Do you know of any place that deals in antique firearms? Places that you might try include the Cabela’s Gun Library, McBride’s, and Blackjack Guns. You also might see if one is selling on www.gunbroker.comor www.gunsamerica.com. What is the best AR in your opinion? I don’t have a clue. I’ve always considered them to be ugly as sin so I’ve never bought one. Plus, the typical cartridge (.223/5.56 mm) is designed for varmints (coyotes, bobcats, etc.). It is not a deer/pig killer unless they’re very small. You might make a post on the FCS Facebook page. I’m kicking around the idea of getting an auto-loader shotgun. Is there a particular time of year the stores put them on sale that you know of? I’m trying to figure out if I need to try and figure out which one is a good fit for me sooner than later. Any ideas? Typically stores will run sales about two weeks before dove season starts and about two – four weeks before Christmas. However, you can find deals year round at places like www.gunbroker.com and www.gunsamerica.com. When you go on the FCS clay target shoot at Capital Clays ask guys if you can shoot their guns. It will give you a good feel for the different brands and features. I’ll be happy to let you shoot my Winchester SX4. Bruce Crockett also has a Browning Maxus for sale. It is an excellent gun. See https://fcs-texas.org/2018/12/02/guns-and-accessories/. 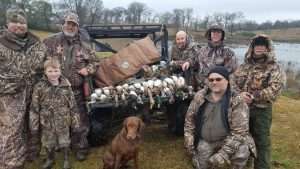 Here is an article that I wrote several years ago – https://fcs-texas.org/2010/08/16/choosing-a-shotgun-for-birds-and-clays-by-randy-rowley-written-in-1992-last-revised-in-1107/#more-544. Your biggest decision will be whether to go with a piston operated gun or a recoil operated gun. The former has the advantage that some of the expelled gases are forced into the magazine and operate the piston, through two holes in the barrel. This causes the recoil to be more spread out and results in a softer felt kick. Their disadvantage is the piston needs regular (around every 100 shells or so) cleaning or the piston can get fowled and fail to eject a shell or chamber a new one. A recoil operated gun has no piston so it kicks like a pump or double barrel gun. They also have the advantage that they don’t have to be cleaned nearly as often. Their disadvantage is you will feel more recoil with heavy dove loads and heavier. I haven’t updated the article in over 11 years, so be aware that there are newer models available. I just purchased some property in South Texas and have been setting up feeders and never used Moultrie, but we have been having issues with them such as some get water in the units and timers fry, spinner does not work well, etc. Do you have a recommendation on brand to use or what do you use. I’ve always used Moultrie. Here is an article on The 9 Best Deer Feeders. How do i get an inexpensive gun appraisal in a short amount of time? I’d go to www.gunbroker.com, www.gunsamerica.com, budsguns, etc. and see what they’re selling for. Look at several “buy it now” prices. If you need something more official I’d go to Blackjack Guns or McBride’s. Blackjack charges $20 to appraise guns. Do you know anyone who does gun bluing? I had McBride’s do a barrel once. They sent it out to someone. I didn’t last more than three duck hunts on the coast. FCS guest Jim Irwin, Paul Irwin’s dad, owns Irwin Restorations LLC. He is a fully licensed gunsmith located conveniently next door to Shady Oaks Gun Range at 3100 Woodall Dr., Cedar Park. His phone number is 512-294-6331 and his email address is jimirwin@austin.rr.com. Also, you might try Blackjack Gunsmithing at 13043 Pond Springs Rd., Austin. Their phone number is 512-450-3535 and their email address is blackjackguns@gmail.com. I don’t know if either do blueing, but I’ll bet that they do. Do you know of anyone I can call and ask questions about a silencer? Call the Silencer Shop at 512-843-0017. Looking to buy three game cameras for our ranch in NE Texas. Do you have a favorite? Preference? What should I look for in making a decision? I own a game camera, but I bought it because it was 50% off at Academy, so I really can’t answer your questions other than to say that having a screen on the camera where you can view your pictures is a really nice feature (rather than having to take the SD card out and put it in another device to view the pictures). Here is an article on the 5 Best Trail Cameras for 2017. I’ve been intrigued by military history for a long time, and I’ve been pondering buying an M1 Garland for a while. I don’t want to pay $1300 on GunsAmerica and don’t qualify for the $830 CMP deal. Do you have any contacts or suggestions? Could you send me the process of how you did a European mount for Ryan’s deer? See http://fcs-texas.org/2010/08/16/skull-mounting-basics-by-randy-rowley/. Be forewarned – it’s a stinky job. I saw you FB post with your boom stick for sale and the follow-up about not including prices. Is there any other place, besides our FB, to list boom sticks that we no longer need? Sell something popular/not obscure. For example, if you try to sell a 28 gauge shotgun you probably won’t get any interest because the shells are very hard to find and they’re expensive. A picture is worth a thousand words – the more pictures the better. Provide lots of information. For example, if your shotgun is back bored list that fact and state how that is beneficial (i.e., back bored to provide tighter, more uniform patterns). If your shotgun has six chokes list that and what they are (maker, constriction, and whether they’re extended). If your gun has extras list those (e.g., sling, extra magazine, ammo, fiber optics sights, etc.). Other important things to include are barrel length (especially true for shotguns), any blemishes on the gun/condition, and any special features (e.g., my Browning Gold Hunter had a speed load feature that loads the gun when the breach is open by stuffing a shell in the magazine – very helpful when you’re wanting to get off a quick fourth shot while dove or duck hunting). Travis County Anglers (a deliberately misleading name) allows guns to be listed. Usually folks just say, “PM me if you would like to discuss.” Don’t put, “Gun for sale” or similar. Also don’t list the asking price. If you do either of those things FB will suspend you. Working with gun broker is easy. You just have to set up an account. Bidding is similar to ebay, with a 15 minute “last call” rule. You have to ship your gun or receive it via an FFL dealer. I use Bob Post of Leander. He charges $10 per gun received (a lot cheaper than the Austin boys). I’m happy to put your guns on the FCS Guns and Accessories web page – just let me know. What are 2-3 of the best crossbow’s for your money? Can you hunt crossbow in bow only season? Where are some places that will let you test crossbows? Barnett, Excalibur, and Horton are well know. Tenpoint is very good but a lot more expensive. Yes, the Texas Legislature passed a law about five years ago that made it legal for anyone to hunt with a crossbow during archery season (or gun season), not just people with upper extremity weakness. I have a Barnett Jackal. It cost about $215. The only thing that I don’t like about it is it’s heavier than a lot of crossbows. Barnet are the best bang for your buck, I think. I’m not sure if Archery Country will let you shoot crossbows. I advise that you call them at 512-452-1222. Have you ever noticed a difference in shooting a 12 gauge compared to a 20 gauge? I have noticed my shooting is not as good with the 20 as with the 12. 20 gauge loads have, on average, 12 1/2% (1/8) less? shot than a 12 gauge. A 12 gauge game/target load is 1 ounce and it’s 7/8 ounce for a 20 gauge. Also, because a 20 gauge has a longer shell to width makeup, it has a longer shot string (it takes the shot at the end of the shell more time to reach the target than the shot at the front of the shell). This can result in more “holes” in the pattern and missed shots. You could be spot on but a bird could make it through your pattern easier with a 20 gauge. Any recommendations on local Taxidermist? See our Service Reviews and Recommendations web page (the categories are in alphabetical order). The guy that I recommend (Randy Pistole of Top Gun Taxidermy) is located in Holland, 10 miles to the east of Salado. If that’s too far then second choice is Professional Taxidermy Studio in Cedar Park on 1431. The guy’s name is Dan Lansford. He did a catalina goat and a speckled belly goose for me that have held up well. The reason that he’s not my first choice is he is more expensive than Top Gun Taxidermy and takes a lot longer. Do you have a gunsmith that you use? What is your opinion of his work? Currently I use Hank Fleming on South Congress. I think he is good but he seems to take a while for repairs to be completed. Hank does indeed have a good reputation, but he does take longer than most. I use Blackjack Guns on Pond Springs Rd. Their phone number is 512-450-3535. I just noticed some surface rusts (toothpick size freckles) on the blued barrel of my Remington Wingmaster – my fault completely for leaving it in storage for too long and probably did not clean it well enough the last time I used it. A quick Google suggests I should use 00/000 steel wool to wipe them and re-blue the barrel with Birchwood Casey’s Cold Blue. Does this sound right to you? Would you do it any differently? I would take some gentle solvent and the finest steel wool that you can find to clean your barrel. Scrub it very lightly. Re-bluing is a time consuming and difficult endeavor. I’ve never tried it, but it’s an all or nothing proposition (you can’t do just “spots”). The one time that I needed a barrel to be reblued, because there were dime to quarter sized splotches on the barrel after a coastal duck hunt, I had a professional do it. It cost $115 or so. With toothpick sized spots a future buyer will hardly notice/care. So if it were me I’d leave it alone except with trying to clean it off. I’m looking for a decent lever action rifle in a caliber that I can find ammo for. One of the most popular is the 30-30 and I’d be ok with it but was more looking for something in the .38/.357. I had a Rossi 38/357 that I sold a few years ago and I really miss it. To me, the gem would be a model 94 with something other than a .30-30. For non-traditional lever guns, consider the Browning BLR. It uses a box magazine, so it is not limited to flat nosed cartridges. It comes in popular cartridges such as .30-06. .308, .270. and .243, just to name a few. I need advice on 9mm ammo. I may do some target. But also would like to keep some hollow points on hand should the need ever arise. Not planning to carry. I have a WWII German 9mm that I got checked out and it is good-to-go. I‘m thinking run-of-the-mill, but brass, not steel. For practice ammo I’m partial to Winchester White Box and Remington UMC. For hollow points I’m partial to Remington Ultimate Defense, Winchester PDX1, Speer Gold Dot, Speer Lawman, Hornady Critical Defense, and Federal Hydra Shock. There is a gun show this weekend and I would like to pick up a shotgun that would be good for the clay shoots and bird shoots the club hosts. But I have no idea what to get and could use some advice. It needs to be a gun both I and my 12 year old son can use. And not too expensive. I last revised Choosing a Shotgun for Birds and Clays in 2007, so all of the manufacturers have new guns to choose from. As your son is not a full grown man yet it will probably be difficult for him to shoot a regular sized 12 gauge (unless he’s bigger than normal, a boy really can’t handle a 12 gauge until around age 15). The problem with youth models is after two or three years they’re worthless (as boys outgrow them) and then you’ll be stuck with a gun that few people are in the market for. Also it will be hard for you to shoot a youth model as it has a shorter stock. Consider a Remington 1187 LW (lightweight) or 1100 LW (they only come in 20 gauge). The barrel is normal length (26 or 28 inches) but the gun is lighter because of a alloy receiver and mahogany or composite stock. The Premier is much better (steel, fit, etc.) than the Sportsman. You can get a used one for around $450. CZ 712’s are lighter than average 12 gauges, if you can find one, due to an alloy receiver. I don’t recommend Benelli’s, Franchi’s, or Stoeger’s for boys (inertia/recoil) operated as they kick more than gas/piston operated guns. The exception is the Franchi 720, which is gas/piston operated. The Beretta A300 Outlander, Browning Silver or Gold, and Winchester Super X2 or Super X 3 are fine guns but are probably out of your price range. I recommend McBride’s Guns for used guns. Although you’re going to have a hard time finding a used 20 gauge. You might have to settle for seeing how new 20 gauges fit him at McBride’s and then finding a used one on www.gunbroker.com. I have bought five guns and sold two on gun broker without a problem. The gun must be shipped to a Federal Firearms Licensed (FFL) dealer. I use Bob Post in Leander. He only charges $10 to receive it for you. A standard dove/target load in 20 gauge with 7/8 ounce shot only has 1/8 ounce shot (12.5%) than a standard 12 gauge dove/quail/target load with 1 ounce shot. That translates to 50 less #8 shot (350 instead of 400). So with dove/quail/clay targets you’re not losing that much firepower with a 20 gauge. However, it cannot keep up with the 12 gauge with the magnum loads for geese/turkey/deer/hogs.